Want to add a natural, rustic and romantic look to your wedding? 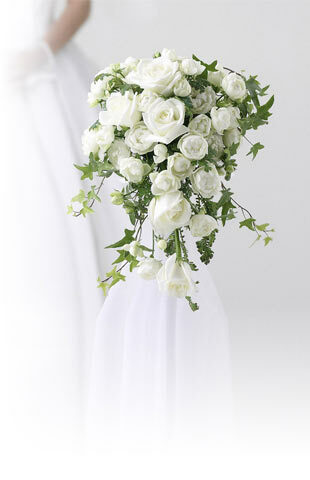 The lisianthus flower is a great choice for natural bridal bouquets and show stopping centerpieces. Their long stems make them ideal to be woven into a breathtaking wreath that will add a real pop of color. Mix them in with our premium roses for a beautiful bouquet, or use a single lisianthus flower to add pizazz to the groom and groomsman as an elegant Boutonnière. 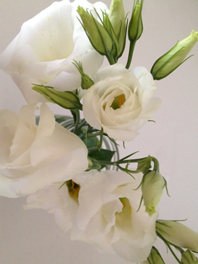 You would not be blamed if you would mistake the lisianthus flower for a rose, although it is a much hardier flower. Once cut, lisianthus flowers can last up to a few weeks in a vase or arrangement, making them a truly excellent cut flower. This bell-shaped bloom, with its flaring petal-like lobes is available in white, pink, dark pink, purple and even two-toned. Our quality is superior and our prices are surprisingly reasonable— we don’t offer cheap flowers, just good prices. Flower Explosion offers radical simplicity, fresher Flowers and unbeatable value. Free Shipping, no hidden fees like our competitors and flowers grown in the Andes foothills that enjoy 350-plus days of sunshine make our flowers the best quality you will find. Buy lisianthus flowers for sale for sale online today!